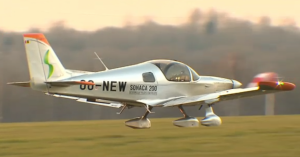 Sonaca Aircraft has established its new assembly centre for the Sonaca 200 model at the heart of the Namur Aerodrome (Temploux), which is well known to pilots and flying schools and was recently taken over. 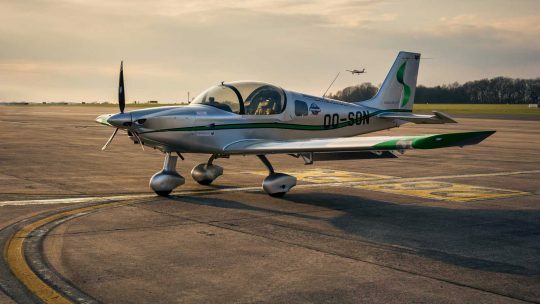 The Sonaca 200 is part of the new generation of two-seater planes highly appreciated for their flying qualities and good value for money – factors that are important for flying schools, private pilots and others. Work had to be carried out to accommodate this arrival, including the construction of a bitumen runway. A 1,700-m² building is under construction within the Aerodrome so that Sonaca Aircraft can develop its production activities and benefit from a professional showroom. Benjamin de Broqueville, CEO of the Aerodrome, and his wife Vanina Ickx, daughter of the famous champion racing driver, are convinced that this model represents the future for flying schools and clubs and that the region will be boosted by the investments they are making together with their partner, Olivier de Spoelberch. Moreover, the Aerodrome is also home to a drones school, Espacedrone, which is another first. Several other activities will gradually become established on the same site. In fact, other companies are expected in new buildings to be renovated and constructed. Catering facilities and seminar rooms, among other things, are also to be provided. Is your company linked to the aeronautics sector? Be sure to find out about the possibilities of settling in Namur, in an infrastructure adapted to your needs and directly connected to the sector. 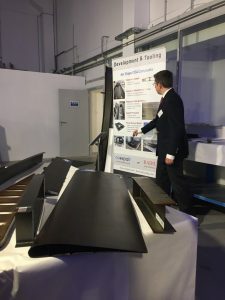 The CEO confirms it: “We produce composite parts with our technologies and our specific tools and it’s less expensive in Wallonia than in Asia!”. André Bertin is proud to contribute to the creation and maintenance of jobs in his region, employing 22 people. Working in the context of a competitiveness cluster, Skywin, on projects such as Avion plus composites (Aeroplane plus composites) and having the support of Wallonia in this innovative field of activity with high added value has prompted the company to grow and become the world leader in its field, with clients such as SONACA, SAFRAN or SABCA and local partners with proven expertise in precision mechanics. Radius Engineering, an American company, is a shareholder in Coexpair. They collaborate and share the world market between them. The company is aiming to achieve a turnover of EUR 10 million in 2019, with further recruitment as the key. In this context, Coexpair recently doubled its production facilities in the Ecolys park in Namur (Suarlée). Would you, too, like to join a dynamic, welcoming region?